I love cooking and making meals, but I sometimes struggle with finding tasty side dishes to go with the main courses, especially when it comes to barbecues and cookouts. You can quickly get tired of the same old side dishes of beans, potato salad and coleslaw. Well let me introduce you to 7 Bean BBQ Instant Pot Baked Beans! One bite of these delicious beans and you’ll see why they will soon become your new go-to side dish that will please the whole crowd! And, because they’re cooked in the Instant Pot, they are ready in just 90 minutes! No more having to simmer and cook all day long on the stove or in a slow cooker. Reason #1: Packed with fiber (6 grams) and protein (16.2 grams), these beans are good for you AND delicious! Reason #2: Since these beans are cooked with pork chops, you get delicious, smoky and savory meat in every bite. 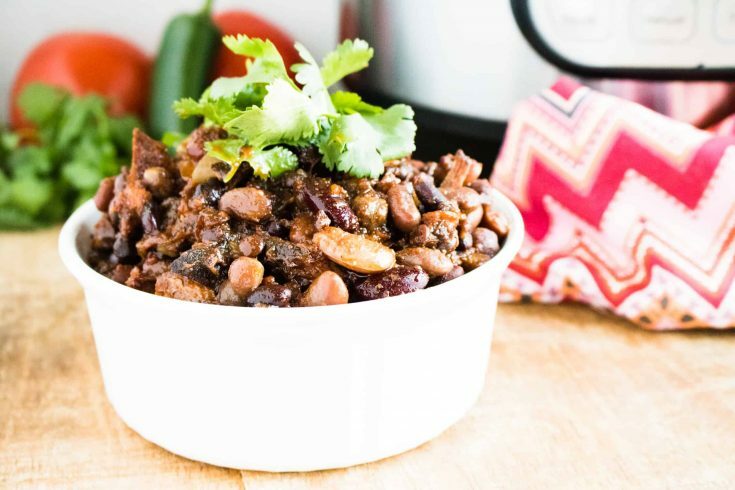 Reason #3: These beans are hearty and filling, so when the weather is cooler, you can eat them as a one-pot meal! 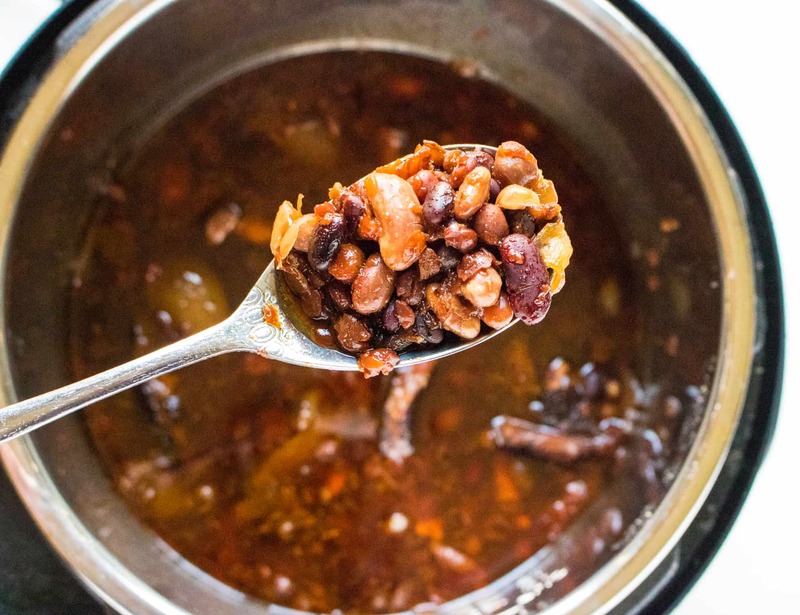 Do You Need to Soak the Beans Overnight Before Cooking? 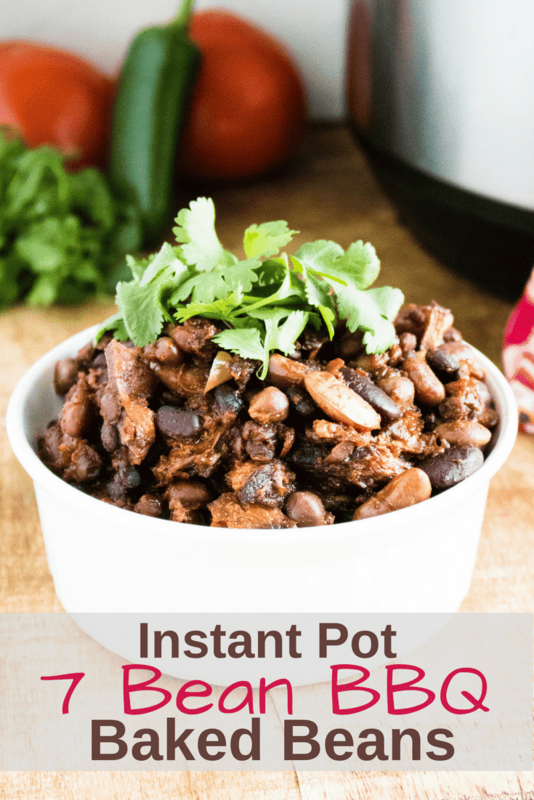 The main benefit of the Instant Pot is that it does all the work! 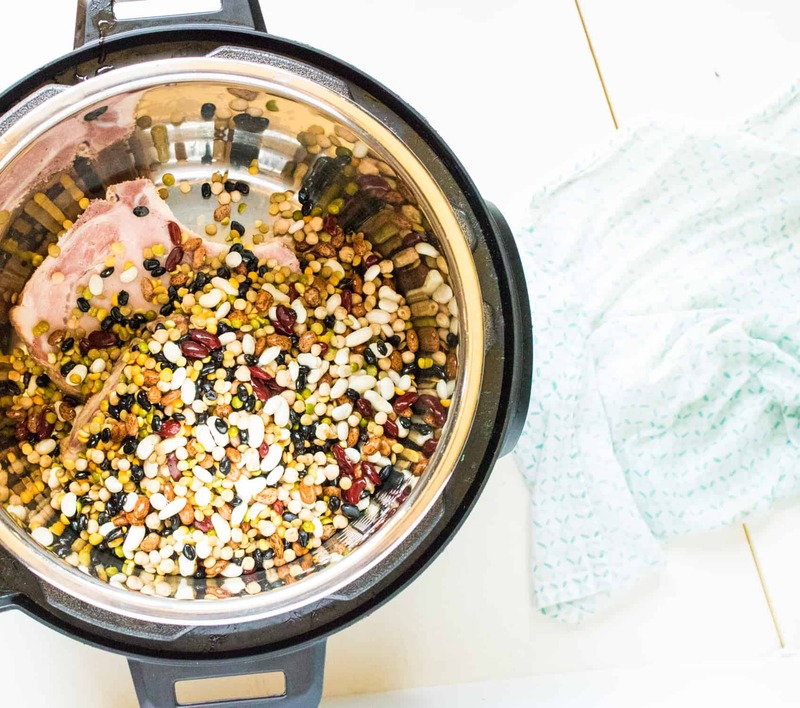 There is no need to soak the beans overnight, since the Instant Pot will ensure that they are soft and cooked just right. Start off with these Copycat Famous Dave’s Ribs or these Easy Pork Sliders for a great main dish. Pair them with your favorite side dish, or make a batch of Easy Red Potato Salad, which boasts fresh herbs and creamy dressing made with tangy greek yogurt. Really want to diverge from the typical barbecue sides? Then try this refreshing Mediterranean inspired Watermelon Summer Salad, bringing together the tasty flavors of watermelon, red onion, feta cheese, black olives and mint. This salad is healthy and oh-so-delicious! Step #1: Add all ingredients to the pot. Step #2: Close the lid on the pressure cooker and turn the valve to sealing. Step #3: Set a manual high-pressure time for 90 minutes. Step #4: Do a natural release to let out the pressure, then serve and enjoy! 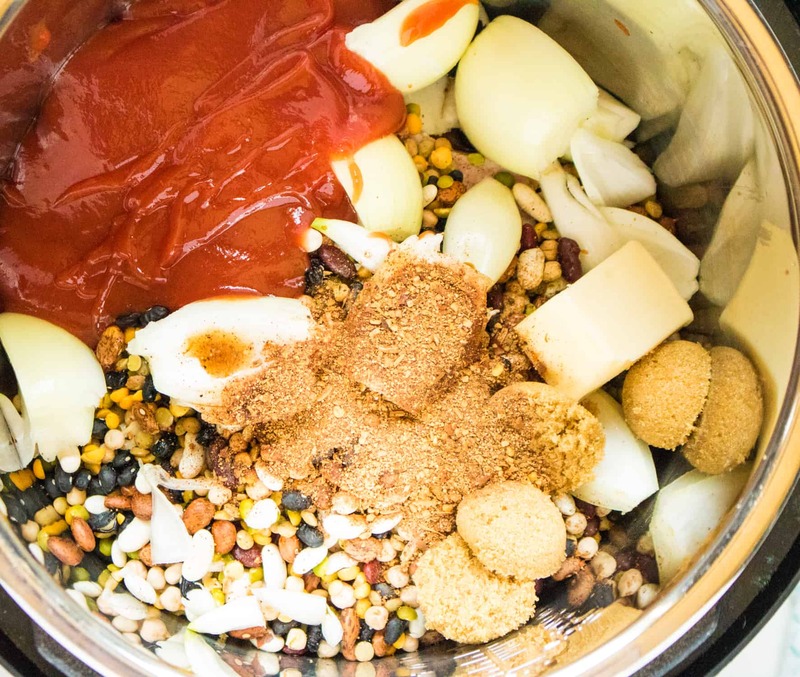 7 Bean BBQ Instant Pot Baked Beans Recipe is sure to please any crowd! Add all ingredients to the pot. Set a manual high-pressure time for 90 minutes. Do a natural release to let out the pressure.